Many visitors to Amsterdam do just that; visiting Amsterdam. But there is a lot more to the Netherlands than canal boat rides and queuing for the Anne Frank museum. (And all of the other stuff people do here.) Holland is pretty compact and it’s super easy to get around. So here are some options to explore the bits around Amsterdam. 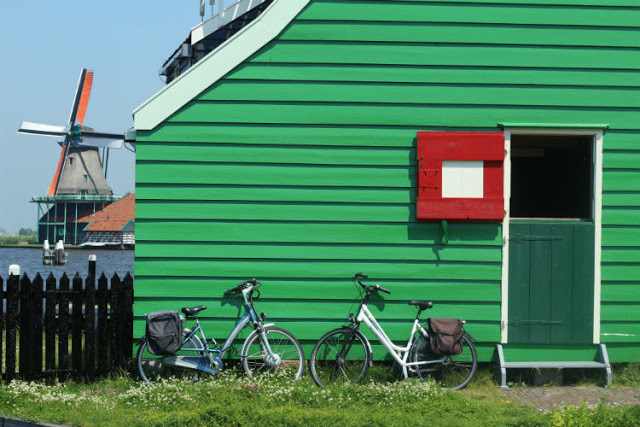 It couldn’t get more Dutch than the windmills at Zaanse Schans. It can get a bit touristy in the summer months, but it still worth walking around the pretty wooden houses and the collection of historic windmills straddling the Zaan river. Do hop on the little dingy river cruise for a waterside view of the windmills. Only a short 15 min train ride away from Amsterdam’s Central Station, Haarlem is smack in the centre of the flower-bulb growing district. It oozes character with its medieval character as you’ll find many cobblestoned streets, gabled houses and tucked courtyards. 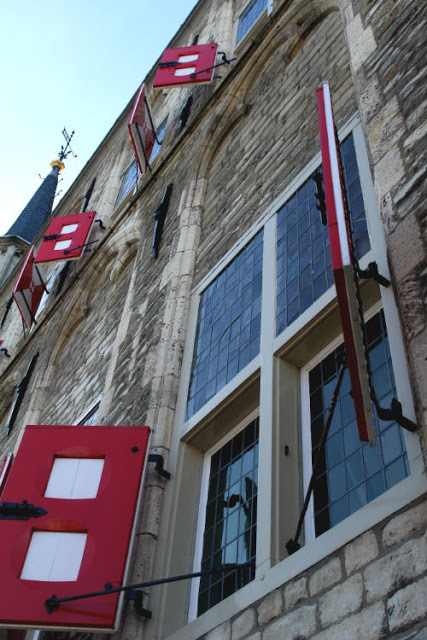 It’s also great for shopping and having a coffee at one of Haarlem’s trendy cafes. On the off chance that you might be visiting on a balmy, Dutch summer’s day, hop on the train to The Hague and then a tram to Scheveningen Beach. Even if the sun is not making an appearance, this beachside town is worth checking out. There are lots of trendy beach bars strewn along the beach for a sundowner session or a romantic seaside dinner. We all know what Gouda is famous for, but there is more to see (and smell) than vintage Gouda. This city is home to the longest, yes not the highest, but one of the longest churches in the world. You’ll also find pretty canal side gabled houses and tucked away medieval alley ways. Rotterdam is the biggest city in the country and, since it got pretty much flattened during WWII, the most modern looking city in terms of architecture. 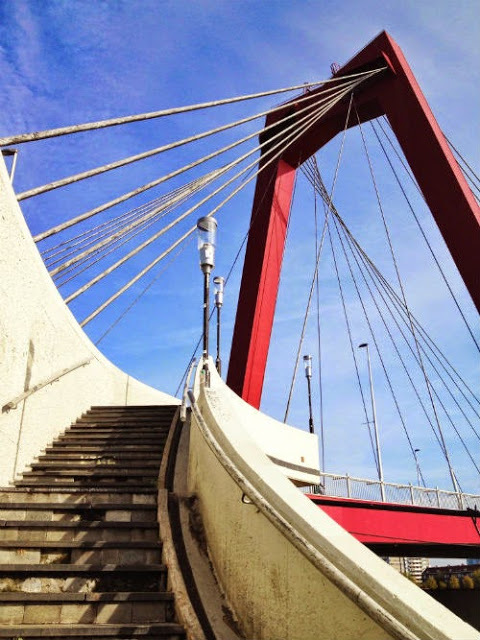 Rotterdam was featured on Lonely Planet’s ‘Best in Travel 2016’ list, and rightly so. You’ll find lots of funky looking buildings, inner ports brimming with cool bars and places to eat and amazing shopping. I loooove Utrecht. I used to spend a lot of time there with friends that lived there. Ah memories. Great recommendations. I've done three of them. I'd also recommend Keukenhof, the huge, gorgeous spring garden with millions of flowers that's open only eight weeks every year. yeah, it's nice, but also full of tourists... I prefer taking the train from Haarlem to Leiden or cycling among the bulb fields. It's a place I have never been too, but would really like to go someday. You'll love it. I know we've got a bit of a rep, but Holland is such a pretty country. Even if I say so myself.